Can anything or anyone stop the evil? Lost. Trapped. Chased by monsters and sent on a crazy mission. Not exactly what Jack Gee had in mind when he used to daydream about the apocalypse.Seven months after the Hemorrhage Virus swept across the world Jack, his wife Dee, friend Boss ... read full description below. Can anything or anyone stop the evil? Lost. Trapped. Chased by monsters and sent on a crazy mission. 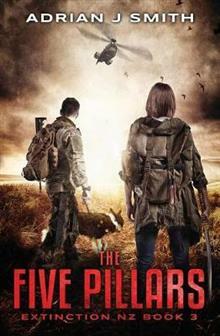 Not exactly what Jack Gee had in mind when he used to daydream about the apocalypse.Seven months after the Hemorrhage Virus swept across the world Jack, his wife Dee, friend Boss and the Renegades, a ragtag collection of civilian and military personnel, have been sent on two missions. Jack likes the first. Recon. The second is insane. Re-enter the laboratory they barely escaped from a few months back and retrieve a logbook, a logbook that could provide the cure to end the madness. Through the chaos, old friendships are tested and new alliances are formed, but new and dangerous enemies emerge in the fight for the future of New Zealand.